"You make a mistake one time and they hold it against you forever." I wish I was able to vote in the past presidential election and in all of my local elections. I feel as if I am left out of most important decisions. Please promise to vote on my behalf this November so I can vote again! 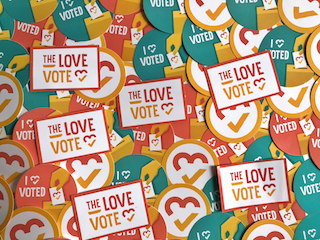 Show Valencia love + inspire others + get voting info + get event invites + get stickers + create change!